Summary: When it comes to drilling for a well, it’s important to drill deep in order to ensure that even during times of drought, you have access to clean groundwater sources. American Water Surveyors can help by finding not just a water source, but one deep enough for your current and future needs. If you have ever had to dig a well, then you are all too familiar with how frustrating the process can be. It is a common practice to hire drillers, who will begin by drilling a series of test wells in order to find a groundwater source. The problem with this method is that drillers get paid by the foot, regardless of whether or not they hit water. This means that even after destroying your property by attempting to drill a series of unsuccessful dry wells, drillers would still get paid. Finding groundwater sources using this method can be costly and unsuccessful. Finding water with a test drill doesn’t always solve the problem. The trouble with some groundwater sources is that if they are too shallow, the water will dry up quickly if there is a drought or another issue that risks your groundwater yield. If you are using a driller to locate your well, they unfortunately will not be able to tell you how deep or rich your groundwater source is upon finding it. Knowing the depth and yield before you drill a water well can save you hundreds, if not thousands of dollars. American Water Surveyors is dedicated to being the premier service provider in the water-finding industry. We use the world’s leading edge technology to measure groundwater depths and yields. The transmissivity of water can be mapped from the surface, and yield can be estimated in gallons per minute or liters per second. By using our techniques, you will know exactly what you’re getting, before you drill. There are no surprises when you use this technology prior to digging your well. When the modern oil industry grew in the early twentieth century, drilling was replaced by gravity, and then seismic surveying as its principal exploration methods. The seismic surveying used in the oil industry reduced exploration costs tenfold and oil exploration and development companies rapidly grew richer. Unfortunately, seismic surveying is not as commonly used in the groundwater industry, which is still largely dominated by drillers, and by water dousing or witching, also known as divining. 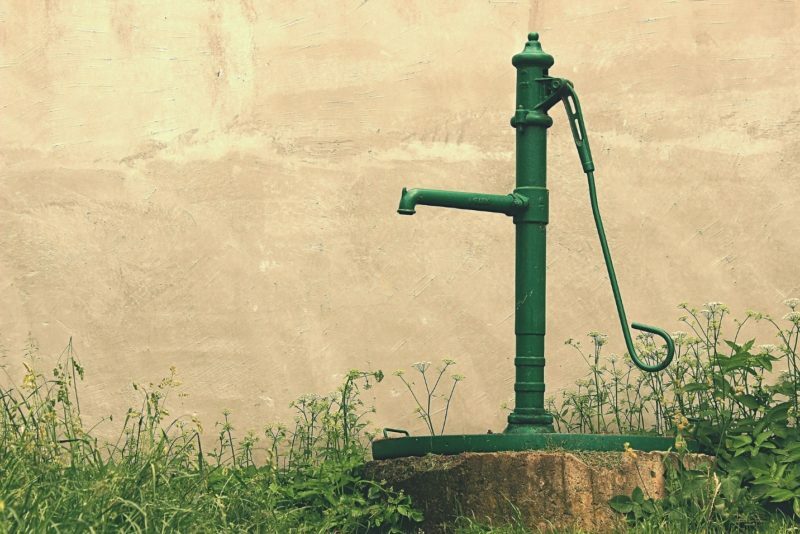 Skeptics have largely discounted these non-scientific methods of finding water wells, as today’s highly technological practices produce much more reliable and credible results. American Water Surveyors use state-of-the art technology to find the best water available. Using portable discovery and drilling equipment, our water well surveyors have been bringing our services to many states throughout the southern USA and are able to travel to many other locations. At American Water Surveyors, we help farmers, municipalities, homeowners, real estate developers, golf course developers, water well drillers, as well as anyone else who requires well locating or completion planning. Drilling can be effective, but it is a costly exploration method. You run a risk when you choose to drill prior to doing a water survey from the surface. The only way that you can be sure that you will have a deep well and a lasting water source is to survey the surface before you drill. Seismic exploration, which sees the fluids in rock and soil, can reduce drilling expenses dramatically when compared to methods in earlier use.Contact American Water Surveyors today to find out how you can achieve a deep well and a lasting water source.